Hillary Clinton dominated Amy Chozick's life for more than a decade. Here, she tells the inside story of Clinton's pursuit of the US presidency in a campaign book like no other. 'A breathtaking, page-turning masterpiece' Mary Karr Chozick's front-row seat, initially covering Clinton's imploding 2008 campaign, and then her assignment to "The Hillary Beat" ahead of the 2016 election, took her to 48 states and set off a nearly ten-years-long journey in which the formative years of her twenties and thirties became – both personally and professionally – intrinsically intertwined to Clinton's presidential ambitions. Chozick's candor and clear-eyed perspective – from her seat on the Hillary bus and reporting from inside the campaign's Brooklyn headquarters, to her run-ins with Donald J. Trump and her globetrotting with Bill Clinton – provide fresh intrigue and insights into the story we thought we all knew. This is the real story of what happened, with the kind of dishy, inside details that repeatedly surprise and enlighten. 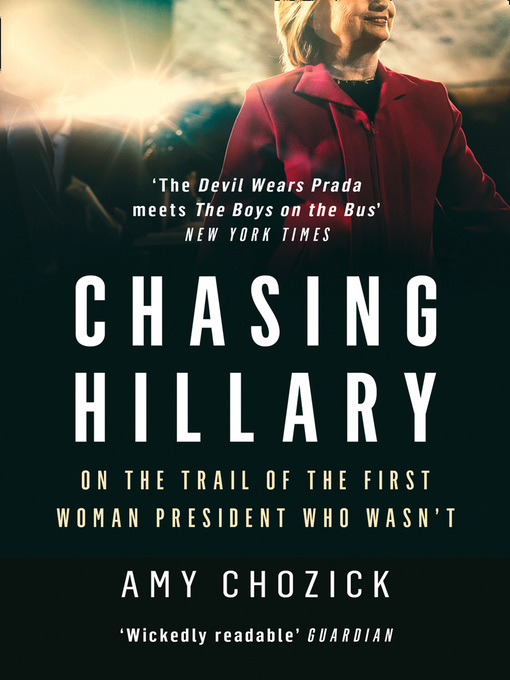 But Chasing Hillary is also a rollicking, irreverent, refreshingly honest personal story of how the would-be first woman president looms over Chozick's life. And, as she gets married, attempts to infiltrate the upper echelons of political journalism and inquires about freezing her eggs so she can have children after the 2016 campaign, Chozick dives deeper into decisions Clinton made at similar points in her life. In the process, Chozick came to see Clinton not as an unknowable enigma and political animal but as a complex person, full of contradictions and forged in the political battles and media storms that had long predated Chozick's years of coverage. Trailing Clinton through all of the highs and lows of the most noxious and wildly dramatic presidential election in American history, Chozick comes to understand what drove Clinton, how she accomplished what no woman had before, and why she ultimately failed. Poignant, illuminating, laugh-out-loud funny, Chasing Hillary is a campaign book like never before that reads like a fast-moving political novel.